Godse as an alternative to the Gandhian ideology! Asian Voice > Opinion > Columnists > Hari Desai > Godse as an alternative to the Gandhian ideology! What an agony: the entire India is celebrating the 150 th birth anniversary of Mahatma Gandhi under the leadership of Prime Minister Narendra Modi and on the other side the so-called Hindu Mahasabha members are mock-enacting killing of the Mahatma and celebrating by distributing sweets! Sakshi Maharaj, a BJP MP, would call Nathuram a real patriot and retract his statement after controversy erupts for glorifying the assassin of the Father of the Nation. Of course, the ruling party in India avoids calling the Mahatma as “the Father of the Nation” following the advice issued in 1961 by Pandit Deendayal Upadhyaya, the RSS Pracharaka and the founder General Secretary of Akhil Bharatiya Jan Sangh. A leader of the Hindu Mahasabha, Dr. Shyama Prasad Mookherjee, went on to found the Jana Sangh in 1951, forerunner of the BJP which was established in 1980. “History books have told you that Nathuram Godse was a sarfara, a lunatic who killed Gandhi. But in reality, who was he? He was an educated man, the editor of a newspaper (Agrani Dainik and Rashtra Dharma). He was a patriot, a freedom fighter,” told Himani Savarkar, the niece of Nathuram Godse, and the head of the radical Hindutva organisation, Abhinav Bharat to Amrita Dutta of Indian Express in 2015. A daughter of Gopal Godse, the younger brother and co-conspirator in the murder of the Mahatma, Himani was an architect by profession and before her death, she could bring out Savarkar Samagra, a 10 volume authentic collection of writings by Barrister V. B. Savvarkar who is revered as Veer Savarkar. “When Partition happened, he (Nathuram) was in Pune, his lands were not taken away, his mother and sisters were not assaulted, then what made him get up and go to Delhi? Because the women of Bengal and Punjab were also his sisters. And the man responsible for this vigathan, Gandhi, had to be removed,” she says. 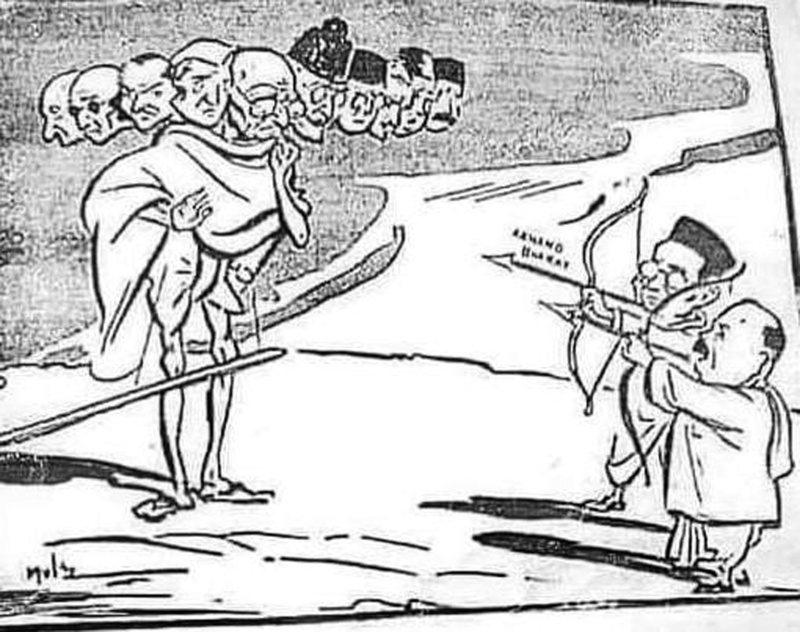 In this version of history, drawn largely from Godse’s testament in his trial at Red Fort in New Delhi, Mahatma Gandhi was not the man who led India to freedom but who presided and was responsible for its division, and in a final act of betrayal, sat on a fast to “give” Pakistan Rs. 55 crore in 1948. One feels sad when the person who resisted the Partition till last is being blamed for it and was shot dead by Godse on 30 January 1948 when he was going for the evening prayer at Birla House, Delhi. And the Hindu Mahasabha of Savarkar and Dr. Mookerjee which blamed the Mahatma for the Partition had joined hands with the same Muslim League to be partners in at least three Provinces i.e. Bengal, Sindh and North West Frontier even after the Muslim League of Mohammad Ali Jinnah had passed the resolution seeking Pakistan in March 1940 at Lahore. Later, Dr. Mookerjee was the Finance Minister in the Bengal Government headed by Fazlul Haq who himself moved the Pakistan Resolution! Even after seven decades there are petitions to review the Gandhi assassination case in the Supreme Court despite being rejected following the long trials and inquiry commissions. The efforts are on to malign Gandhi by the right wing politicians though unsuccessfully. “In fact, Nathuram Godse, Gandhiji’s assassin does not have any past record of indulging in communal violence or religious fanaticism…At a time when this country is going through chaotic times and when its ‘so-called” Gandhian politicians have lost the confidence of the masses, Nathuram Godse is being looked upon as an alternative to the Gandhian ideology. As a result, the followership of Nathuram Godse is increasing with each passing day. Thus, it has become necessary to unearth the truth behind this religious fanaticism theory,” records Anup Sardesai in “Nathuram Godse: The Story of an Assassin”, claiming the motive behind writing his book was not to demean the Mahatma nor glorify his assassin. 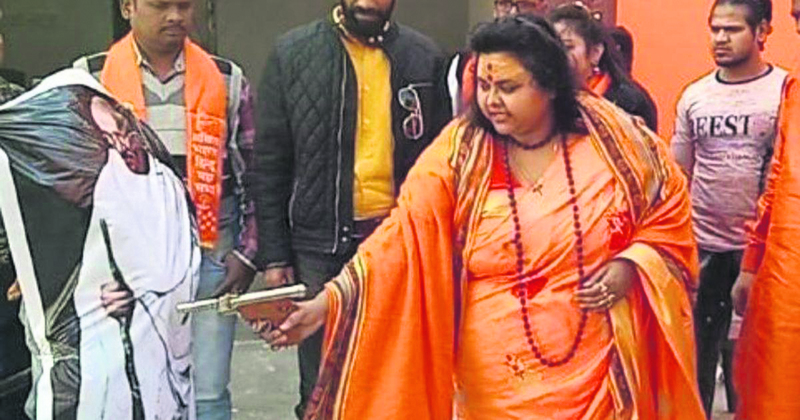 But none can deny the trend to malign the Mahatma by such actions of Pooja Shakun Pandey or Shakshi Maharaj or those calling to erect the statues or temples in the name of “Pandit” Nathuram Godse hailing his dastardly action. 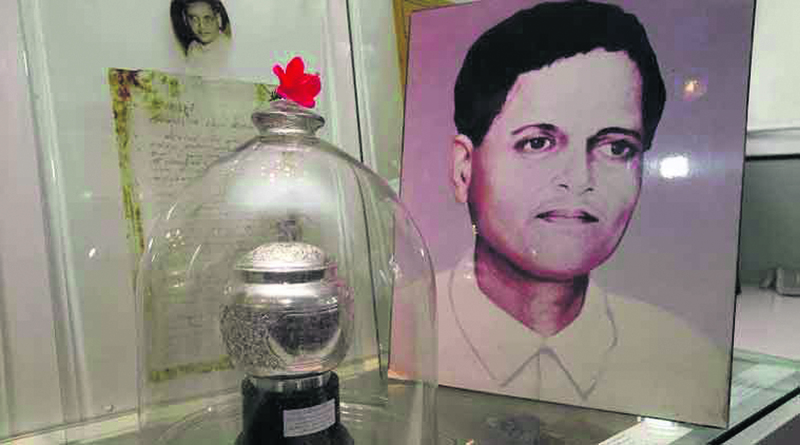 The urn containing Godse’s ashes at Godse House, Pune awaits immersion in the Indus River after India becomes Akhand Bharat including Pakistan and Bangladesh. Unfortunately, the slogan Akhand Bharat is forgotten by the present day rulers despite their claim to follow the preaching of Madhav Sadashiv Golwalkar (Guruji), the second Chief of the Rashtriya Swayamsevak Sangh (RSS). May be Islamophobia restrains them.